The Department of Veterans Affairs has recently announced that it will be providing regular Aid and Attendance benefits for a new class of injury beginning on June 7, 2018. Read on to learn more about the changed rule, and contact a knowledgeable VA-accredited Florida attorney for more information. VA Aid and Attendance benefits, also known as Special Monthly Compensation (SMC), are provided to veterans who have lost the use of certain organs or extremities as a result of their time spent in active military service. These benefits come in the form of additional compensation above what disabled veterans already receive. 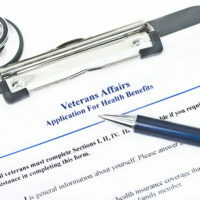 Veterans who apply for Aid and Attendance must also show that they are unable to dress themselves, perform basic hygiene tasks, or feed or care for themselves without additional help. As of October 2011, the Veterans’ Benefits Act gave the VA the authority to provide Aid and Attendance benefits to certain veterans suffering from the effects of a traumatic brain injury (TBI). However, unlike other Aid and Attendance benefits, these benefits provided to TBI sufferers were not regulated and provided according to established guidelines. Veterans who had experienced TBI and sought these benefits were technically eligible, but they often had to appeal an initial denial of Aid and Attendance in order to obtain them. Now, disabled veterans who can prove that they have experienced TBI and would need hospitalization or care in a residential facility will be eligible for regular Aid and Attendance benefits without having to seek special approval of their application. These veterans will receive benefits at the R.2/T rate, according to current SMC rate tables. A VA accredited attorney can help you answer any questions about the change in rules and can help you file an application for benefits that you or a loved one needs. If you’re a Florida resident who needs help getting the benefits to which you’re entitled as a veteran or senior, find out how to get the help you need by contacting the effective and dedicated West Palm Beach elder law attorneys at Shalloway & Shalloway at 561-686-6200.